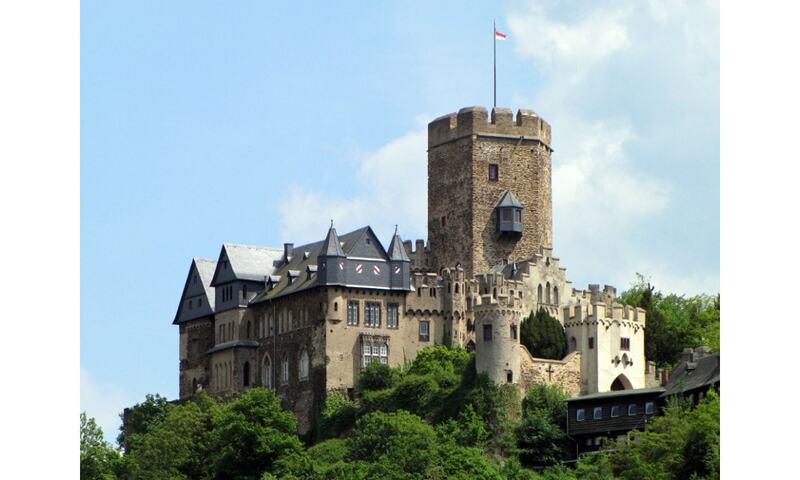 Lahneck Castle stands on a steep rock salient above the confluence of the Lahn River with the Rhine, opposite Stolzenfels Castle. Its symmetrical plan, an oblong rectangle, is typical of the later castles of the time of the Hohenstaufen. The pentagonal shape of the keep is rare for castle towers.